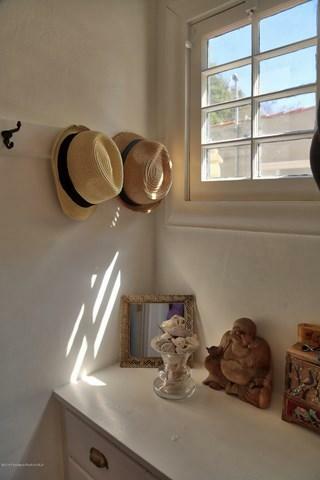 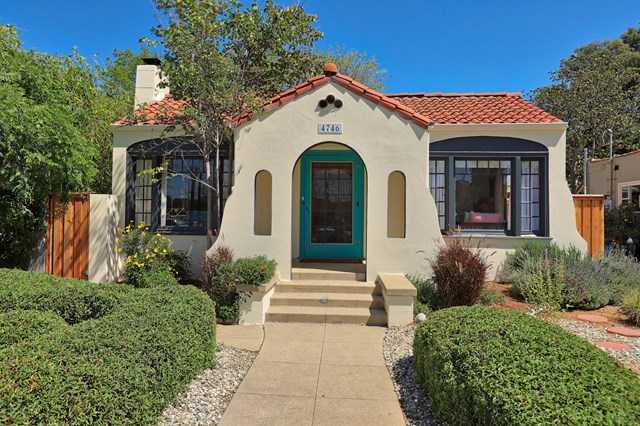 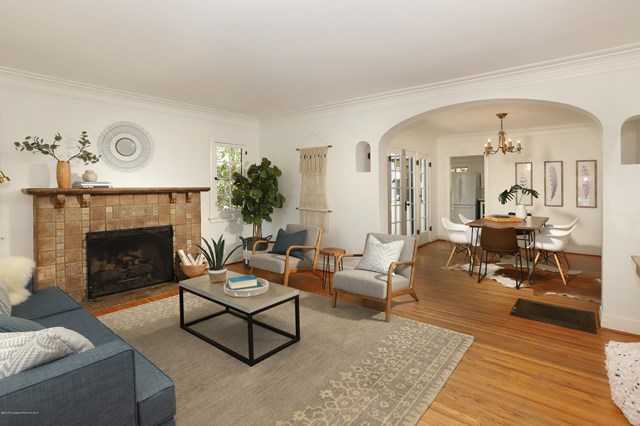 Detailed Description: Ideally situated within the coveted Dahlia Heights Elem’y School boundaries, this vintage 2 BR, 1 BA 1920s Spanish gem is enviably located between the bars, yoga studios and art galleries of Colorado Blvd in Eagle Rock and York Blvd in Highland Park. 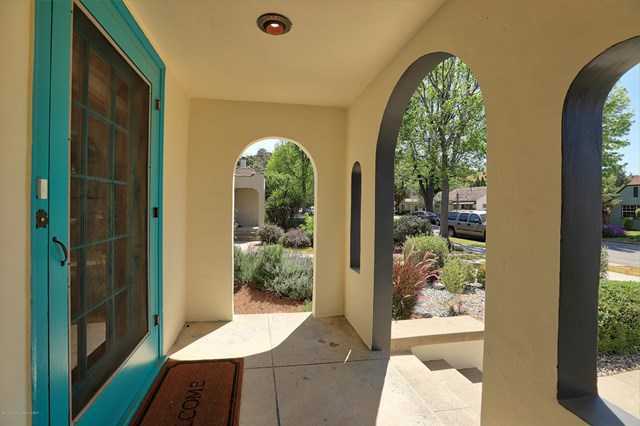 The whimsical archways of the front portico open to a sunlit LR boasting original oak floors, handsome Batchelder fp, and stunning casement windows. 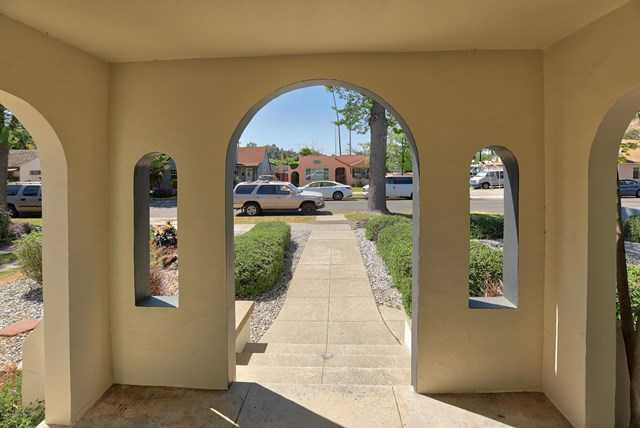 Through another graceful archway, the formal DR is bordered by a wall of French doors that beckon to the quaint and private side porch perfect for sharing your cups of coffee and plans. 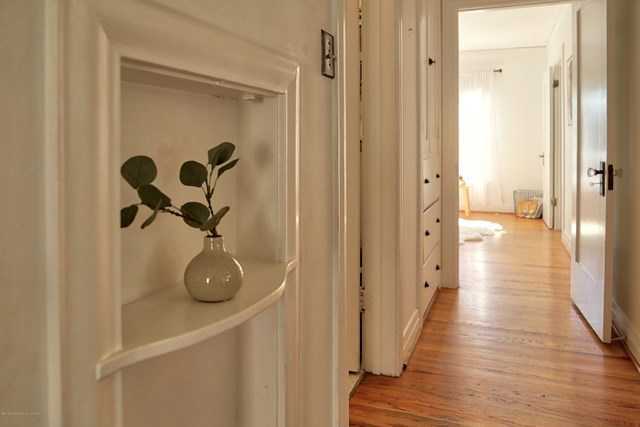 The rebuilt BA w orig’l cast iron tub, med cab and light fixture + vintage-style pedestal sink, subway tiles, and rain shower is nestled btwn the stylish BRs w crown molding and closets w orig’l built-ins. 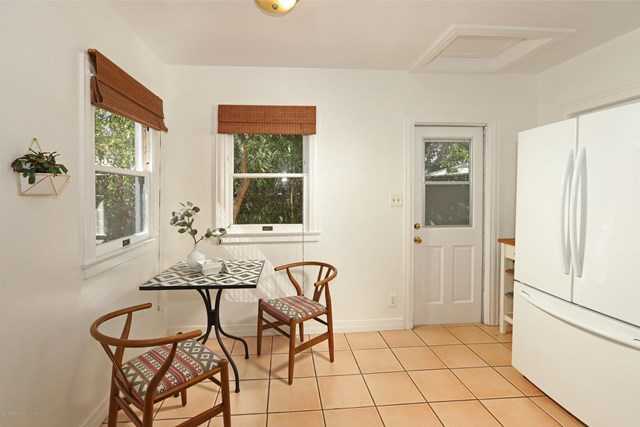 Designed for entertaining, the spacious kitchen w Saltillo flrs, bkfst nook, tiled counters, and orig’l icebox opens to the generous, flat bkyd w multiple lounging and dining areas just brimming w possibilities (sports court, pool, lg garden). 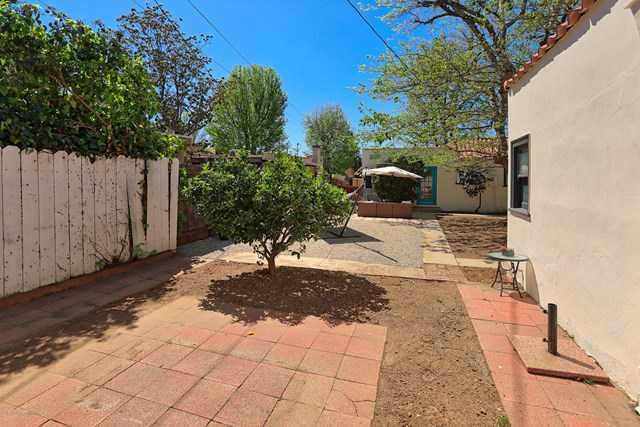 Detached 2 car garage w alley access and simple 1/4 BA begs to become an artist’s studio or ever popular ADU. 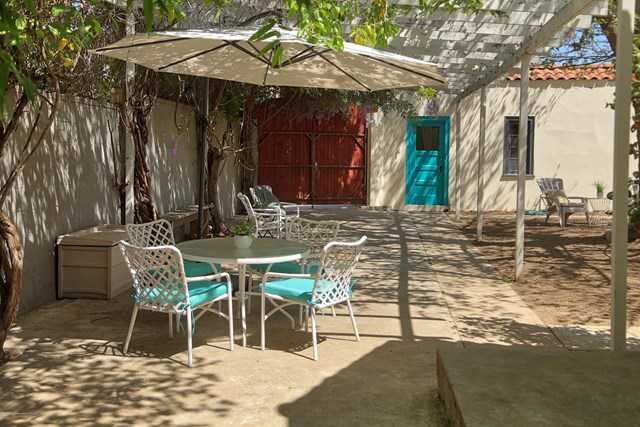 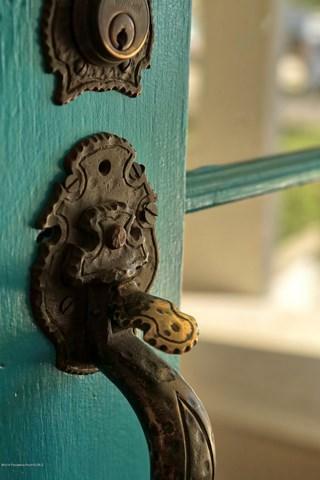 Add’l pkg can be accessed just inside custom oversized wooden doors to the bkyd off the alley. 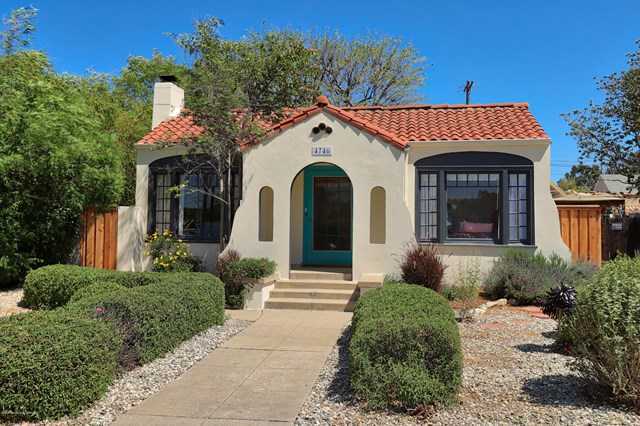 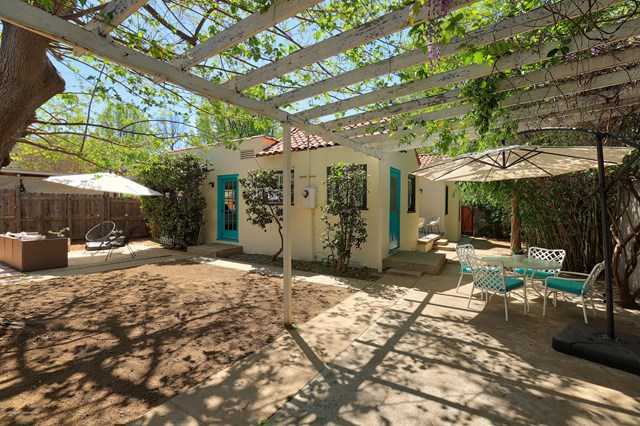 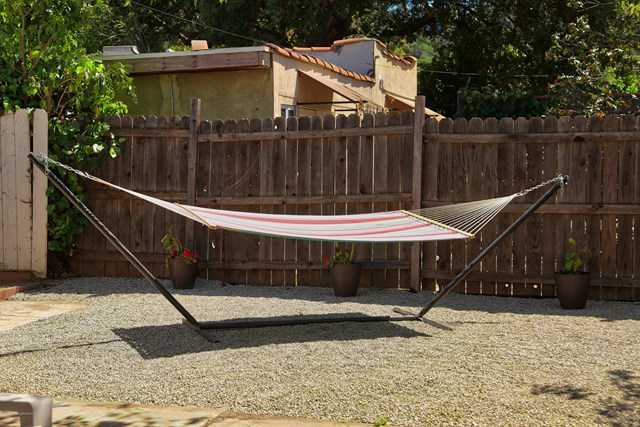 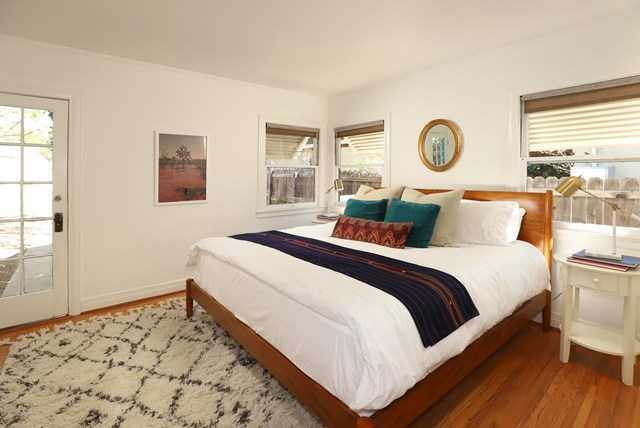 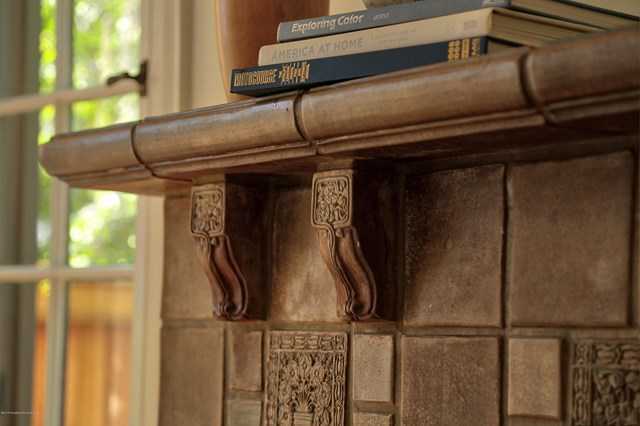 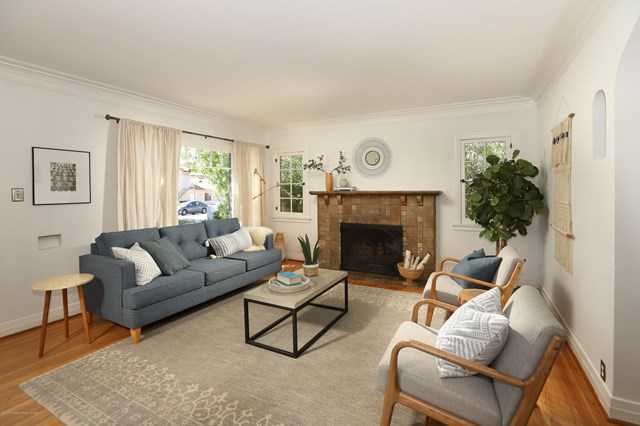 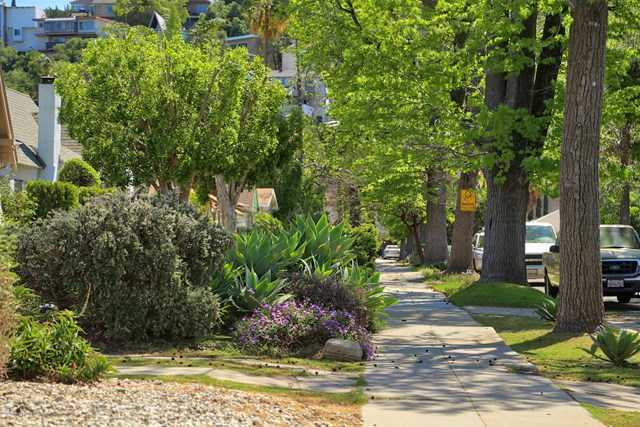 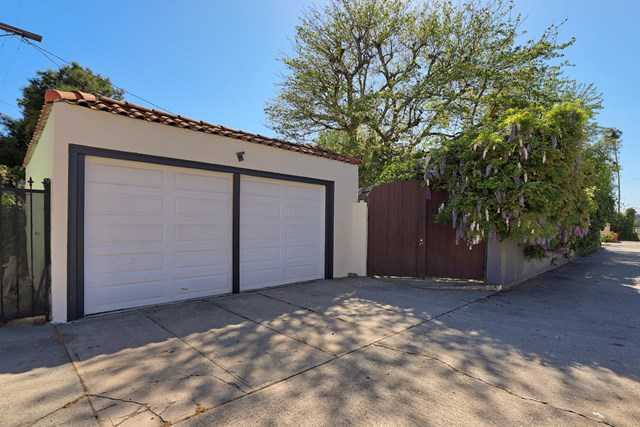 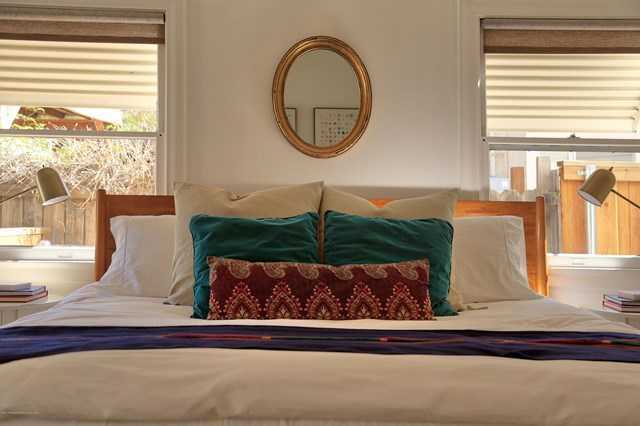 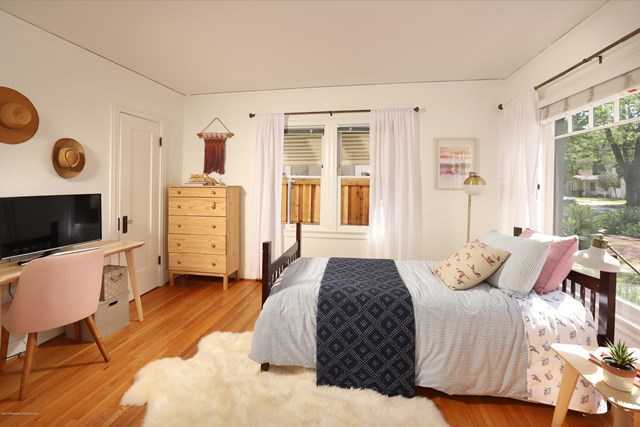 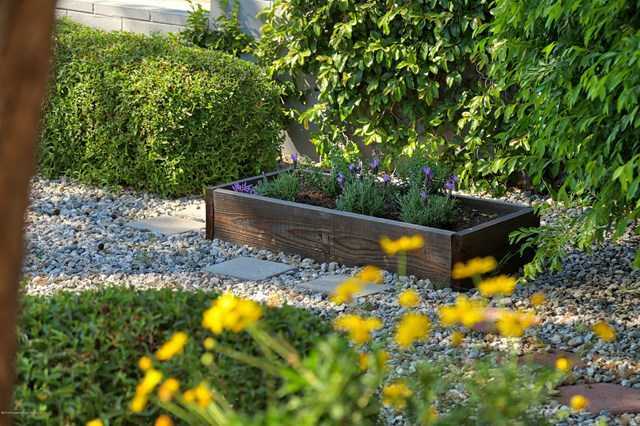 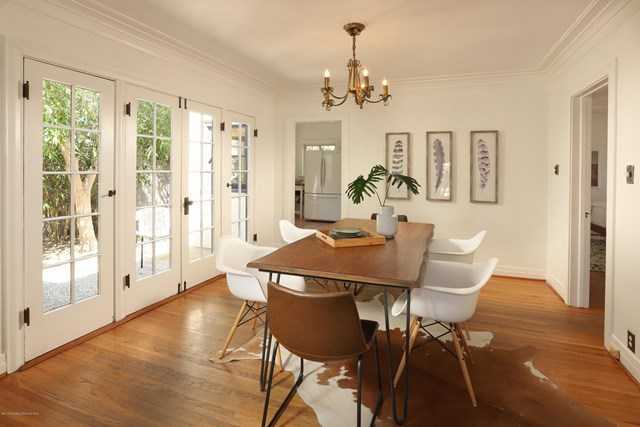 Located on one of the prettiest tree-lined streets in Eagle Rock, the location and style cannot be beat! 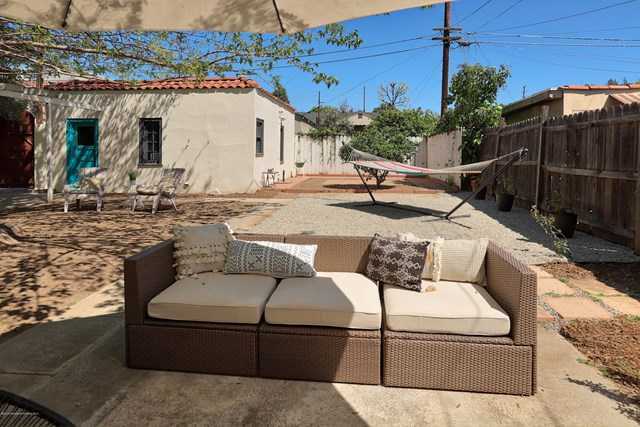 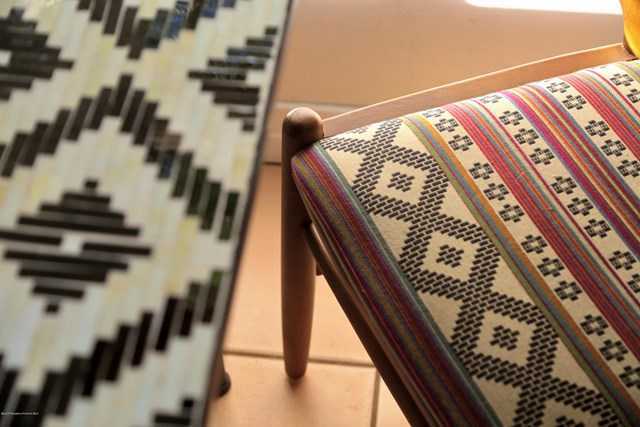 Detailed Description Ideally situated within the coveted Dahlia Heights Elem’y School boundaries, this vintage 2 BR, 1 BA 1920s Spanish gem is enviably located between the bars, yoga studios and art galleries of Colorado Blvd in Eagle Rock and York Blvd in Highland Park. 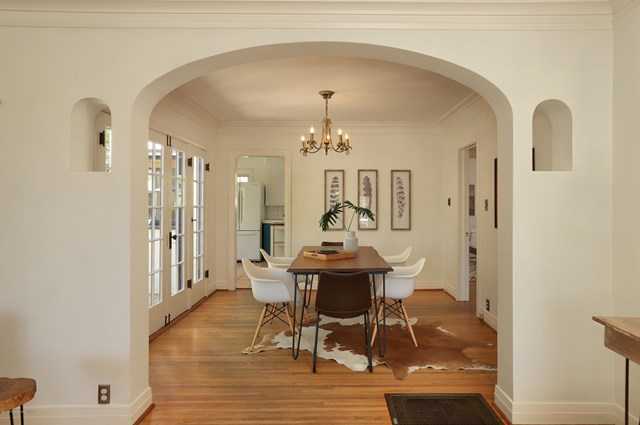 The whimsical archways of the front portico open to a sunlit LR boasting original oak floors, handsome Batchelder fp, and stunning casement windows. 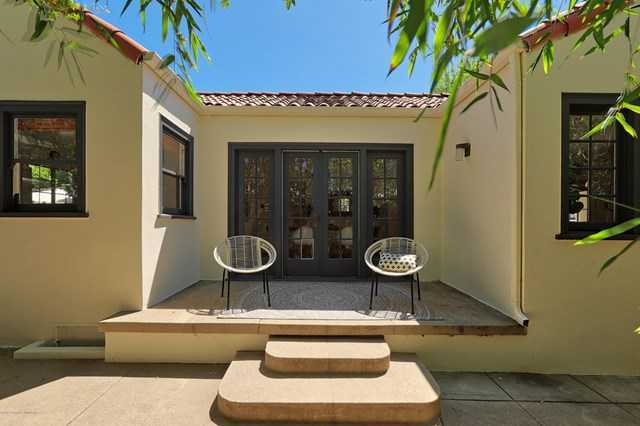 Through another graceful archway, the formal DR is bordered by a wall of French doors that beckon to the quaint and private side porch perfect for sharing your cups of coffee and plans. 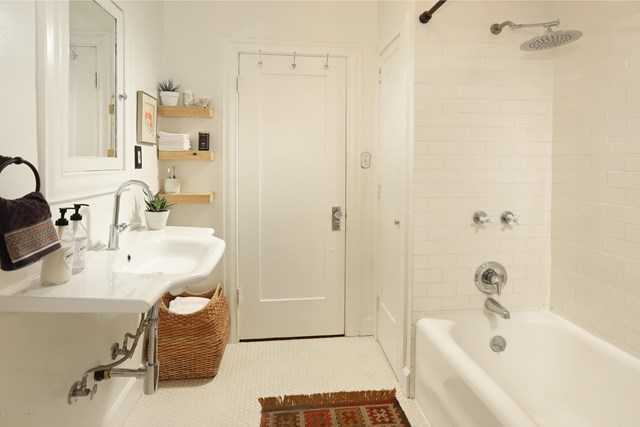 The rebuilt BA w orig’l cast iron tub, med cab and light fixture + vintage-style pedestal sink, subway tiles, and rain shower is nestled btwn the stylish BRs w crown molding and closets w orig’l built-ins. 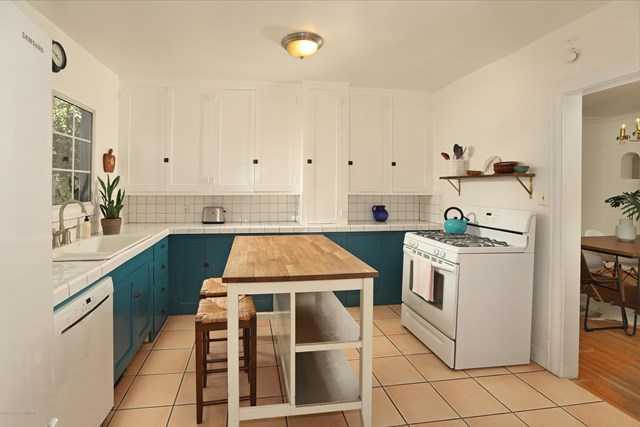 Designed for entertaining, the spacious kitchen w Saltillo flrs, bkfst nook, tiled counters, and orig’l icebox opens to the generous, flat bkyd w multiple lounging and dining areas just brimming w possibilities (sports court, pool, lg garden). 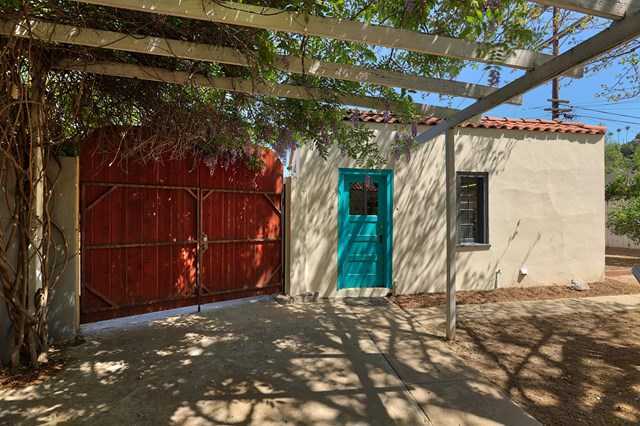 Detached 2 car garage w alley access and simple 1/4 BA begs to become an artist’s studio or ever popular ADU. 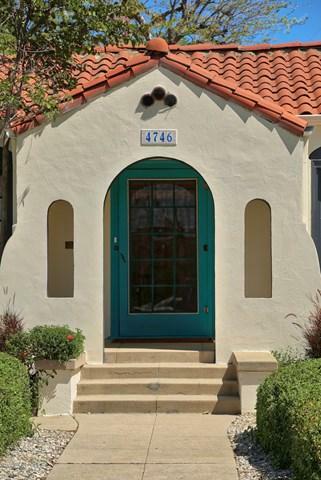 Add’l pkg can be accessed just inside custom oversized wooden doors to the bkyd off the alley. 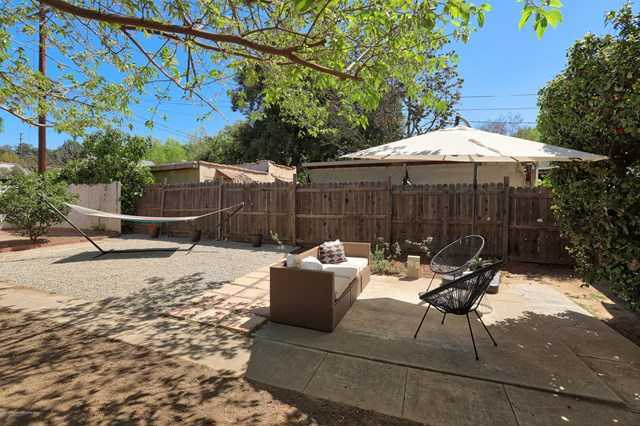 Located on one of the prettiest tree-lined streets in Eagle Rock, the location and style cannot be beat!